Most of the time, my garden’s thriving but sometimes the weather tips things out of balance in favour of less welcome garden guests! In our hot, humid and wet subtropical climate, this can happen more frequently than I’d like. No matter where you live, creepy caterpillars are sure to visit sometime during the year. If they start to chomp on your crops, you’ll need some strategies up your sleeve! Extended periods of heavy rain can play havoc, creating the environment for pest populations to arrive en masse and thrive. It’s hard to inspect your garden with days of teeming rain so by the time the sun shines again, there’s sometimes a pest problem to deal with. 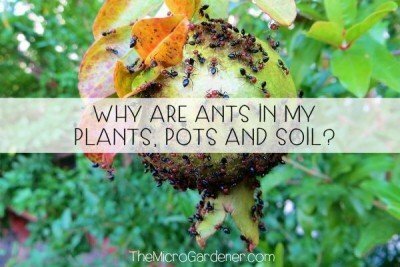 Do you really have a pest problem? I have a few Integrated Pest Management (IPM) strategies I use to minimise insect invasions and maintain balance, so I thought I’d share how I deal with one of the most common critters – caterpillars. Caterpillars are usually the larval stage in the life cycle of moths and butterflies, appearing after they hatch from eggs. 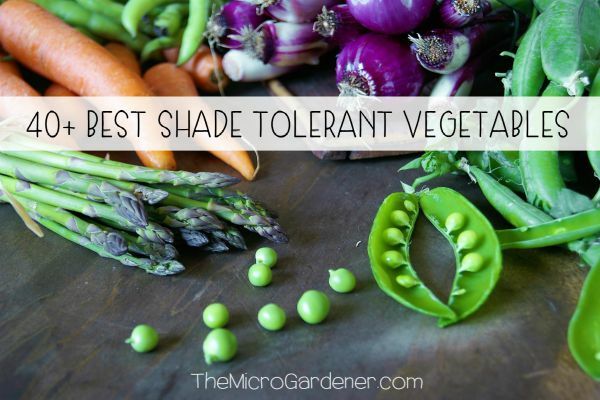 Their favourite foods include leaves, stems, flowers, fruits and roots – so basically, any part of the plant! Caterpillars generally are fussy eaters often with one ‘host’ plant on their menu (lucky they’re not humans – what an incredibly BORING diet!) 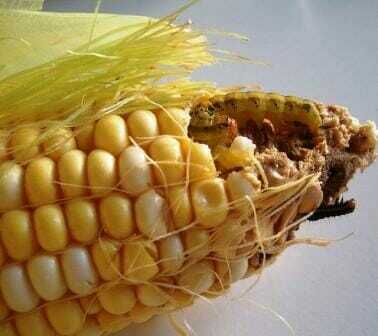 An example are these corn ear worms devouring the cob kernels. Before determining whether I have a pest issue, the question I ask myself is: “Is this caterpillar REALLY a problem?” The answer depends on what it’s eating! 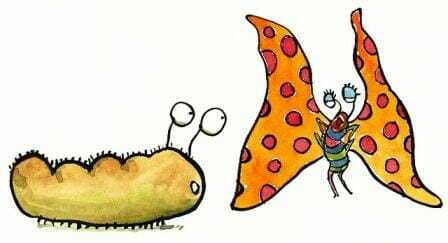 With few exceptions, most caterpillars are harmless native ‘butterflies-in-waiting’ so if they are not gobbling your grub, then leave them be! 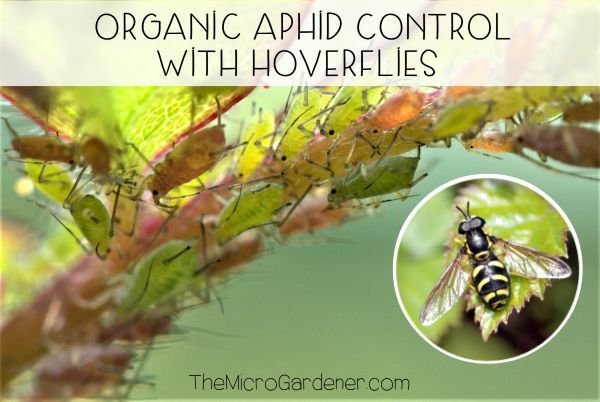 They’ll morph into stunning pollinators and be your garden helpers. If on the other hand their tucker was going to be on tonight’s menu at your place, then you might want to consider your options. 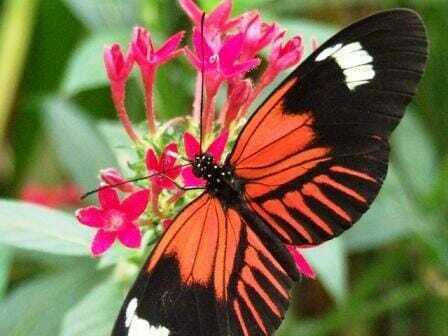 As a food gardener, there are a few species of butterflies I’ve learned to identify. So I know the friends and foes in my patch. 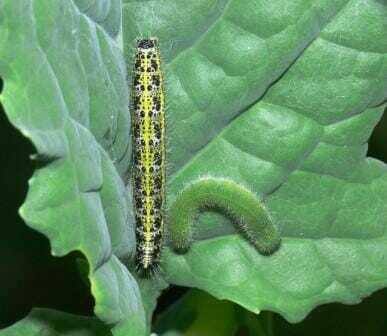 Most damage is caused by the caterpillars from the commonly found Large (Pieris brassicae), Small White Cabbage butterfly (Pieris rapae) and small diamond-back cabbage moth. 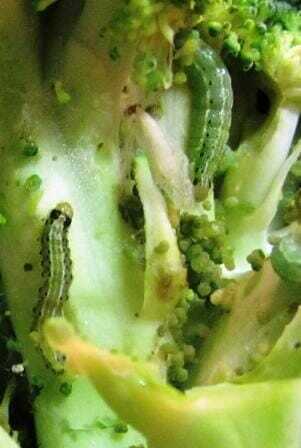 These caterpillars dine out on leaves in the Brassica family (these include our yummy broccoli, cabbage and cauliflowers). The cabbage white butterfly isn’t a native here in Australia. It was accidentally introduced in 1937 and is now widespread. So nature didn’t cause the problem – man did! Not unlike our cane toad problem. 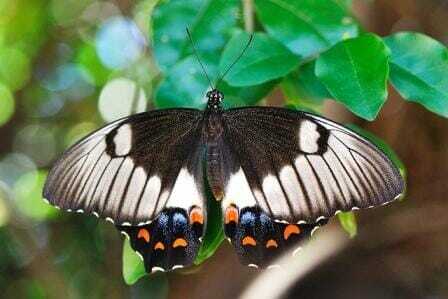 Another common species is the Orchard butterfly that lays eggs on backyard citrus tree leaves. Now this species isn’t a major problem if you grow lemons, oranges or mandarins because when the ggs hatch, the caterpillars eat the leaves not the fruit. But if like me, you have an inviting Kafir Lime tree that is grown for its culinary leaves rather than the fruit, then it may be a different story! However, if your tree is mature and photosynthesis won’t be affected by the loss of a few leaves, leave the caterpillars alone! 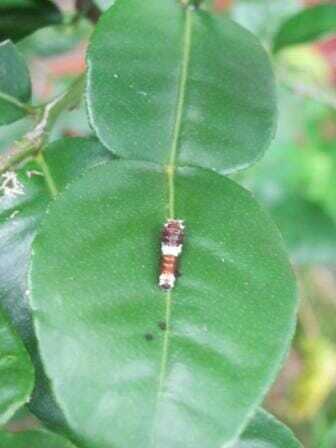 If however, your kafir lime tree is young and trying to establish, you may want to remove the caterpillars to another citrus tree where they won’t matter. Finding a single resident caterpillar is only a minor temporary ‘problem’ worth keeping in perspective. One caterpillar like this Orchard or Swallowtail Butterfly baby can only consume so much and then it’s finished. There are other caterpillar culprits that appear regularly too, including cluster and looper caterpillars that eat a variety of vegetable leaves; cutworms; budworms and codling moth larval caterpillar. If they get a foothold, they can munch through a mountain of food destined for your plate and cause some serious damage. Some caterpillars use sneaky tactics to get to their preferred food source including boring into fruit, stems and roots where they hide and it’s hard for you to know what they’re up to until it’s too late. So if you have a caterpillar problem to deal with, here’s my suggestion. To even the scoreboard and ensure there’s a fair share of produce that ends up on my family’s plates and not as ‘caterpillar cuisine’, I’ve learned to observe the behaviour of butterfly and moth mummies in my garden. This helps me time any preventative actions to swing things in my favour rather than waiting till the problem gets out of control. It’s a bit like being a detective in your garden – if you see troublemakers hanging around, you know there’s going to be some action! Firstly, knowing the season when some moth and butterfly mothers feel the need to repopulate the planet helps – so getting familiar with the species in your area is a great idea. 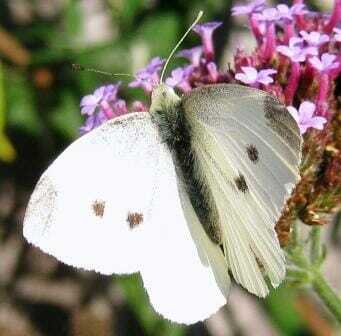 This white cabbage butterfly is an easily recognised common visitor. If you find a butterfly workshop on offer, try to get along – it’s fascinating and insightful learning and I’ve taken the opportunity several times to soak up knowledge from local entomologists and insect educators. I’ve spent time getting a better understanding of insects and the beneficial or detrimental roles they can play so I can better manage my garden and food production. I’ve listed a few resources below that you might find helpful. 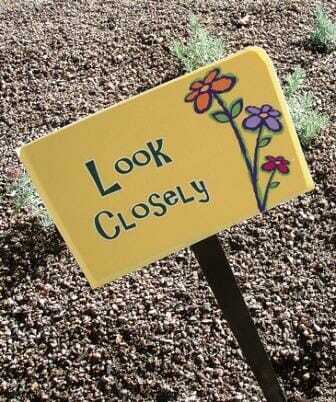 Secondly, I walk in my garden daily (usually early morning) and watch what’s going on. 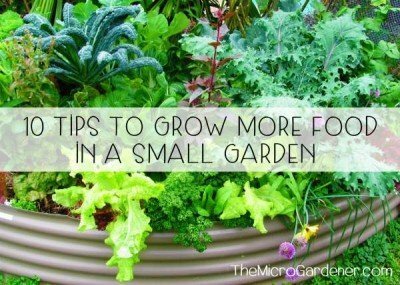 I notice little changes and to me, being a Micro Gardener is not just about GROWING in small spaces – it’s observing the micro insect world below and above our feet and working with it. If I see white cabbage butterflies stopping to sit on a leaf and lay an egg … or two … then it’s a fact she’s chosen that plant as a maternity ward for her new kids. Thoughtful little mothers they are – laying their eggs on their kid’s favourite foods so as soon as their babies are born they just open their mouths and start eating. 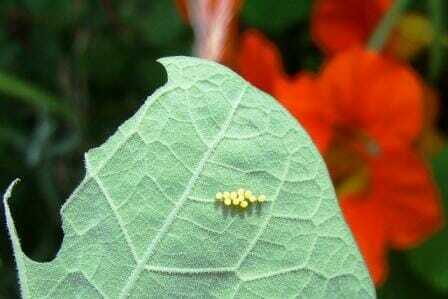 You can see the tiny yellow eggs laid on the underside of this nasturtium leaf. No need for mummy to stick around. Fantastic strategy for them, not so good for us! As caterpillars are mainly night feeders, being observant early morning helps me see if there’s any damage. So my tip is nip them in the bud! 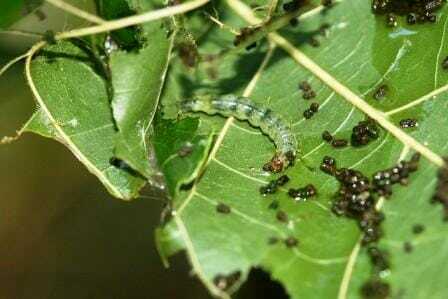 My next post, Coping with Caterpillars – Part 2 deals with some organic strategies to combat caterpillars. Workshops: Check your local council’s website or community garden – they may host an entomologist or qualified presenter to share their knowledge about local insects. Local native nurseries often offer volunteers the opportunity to learn about native habitat and species so check yours out to see what activities and events are available. How to Manage Pests – Natural Enemies Gallery (this resource is an online photographic reference that allows you to see which insect predators will attack caterpillars and other pests in your garden). Biological Control and Natural Enemies (explains the basics of Integrated Pest Management for home gardeners). 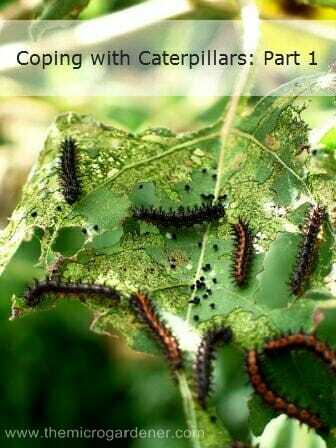 So, what problems have you had with caterpillars? I’d love to hear what insects are visiting your patch and how you cope. 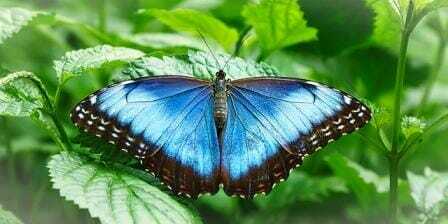 Related articles: Coping with Caterpillars Part 2. © Copyright Anne Gibson, The Micro Gardener 2010-2016 – http://www.themicrogardener.com. All rights reserved. This year I actually moved some of my failed cabbage to a pot next to my window inside and put all the caterpillars on there, so they can grow and be safe without eating my crops. It’s fun to see these little guys grow so fast and hopefully turn into beautiful butterflies! (I use the cabbage kinds they were found on, not something they don’t eat). I thought I was free of those ugly little creatures that Merryl brought to Transition Towns on Sunday. However when I got home I realized that they are contributing to the demise of my corn cobs, together with nasty little black beetles. I have picked the best corn cobs and will freeze what we don’t eat immediately, I plan to strip the cobs and store them in boxes in the freezer. Should work? Yes those bugs really can cause havoc can’t they? I’ve been researching them because they are not listed in the main insect reference books and CDs I have so I contacted Peter Chew from Brisbane Insects (marvellous website resource) to see if he could ID as a pest local to our area. He revealed they are a kind of Leaf Footed Bug that fits the description of the culprits in our vegie patches. You can read more about them here. Re your corn – Great idea to save your crop now! I have frozen my corn when I have had too much to eat at the one time and it works very well but to preserve the flavour, there are a few techniques. Here are some excellent easy-to-follow and well illustrated instructions on Freezing Corn on the Cob. I use this method. Try using the Brisbane Insects website to ID the beetle culprits. 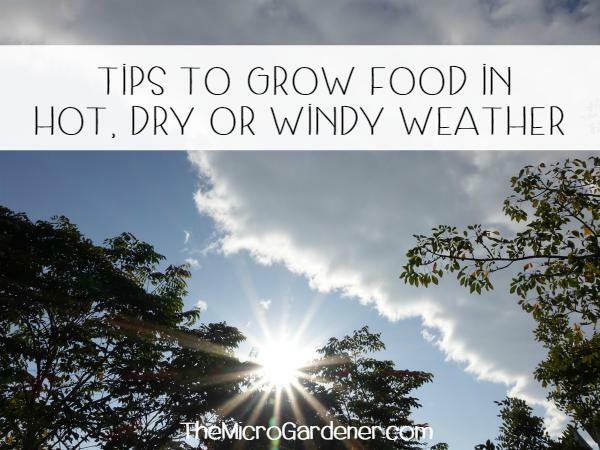 Either way, they’ll have to find some dinner elsewhere after you harvest your crop! !